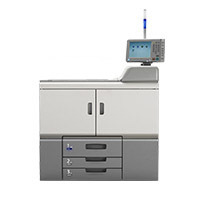 The Pro 8110e/8120e black and white production printers deliver fast throughput, versatile media handling and professional finishing options. They were engineered to provide in-plant or data center environments with the information they need – in the format that they prefer. 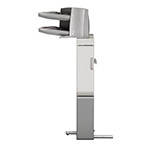 Plus with the systems' exceptional image quality, easy maintenance and high reliability, users can improve their productivity and transition between jobs with ease. 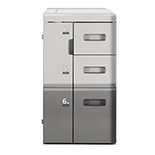 For printing and scanning capabilities add the Printer/Scanner Unit Type S1 option. This option must be installed with either the SR5050 or SR5060 Finisher. 1. This option must be installed with either the SR5050 or SR5060 Finisher. 2. 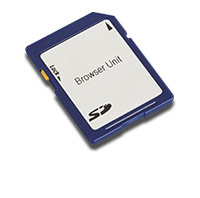 This option cannot be installed with any of these options: PostScript3 Unit Type S1, IPDS Unit Type S1 or SD card for NetWare printing. This system must be installed with Finisher SR5050, Booklet Finisher SR5060, RPIP Interface Box Type S3, or High Capacity Stacker Unit SK5030. 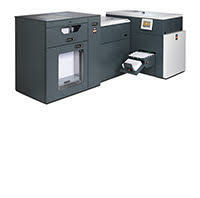 LCIT that can handle paper sizes up to 8.5" x 11" and can hold 5,000 sheets when filled with 20 lb. Bond. Maximum paper weight for tray 4 and 5 is 80 lb. Cover and for tray 6 is 90 lb. Index. 1. Only 1 LCIT can be installed on the engine. 2. 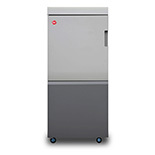 LCIT RT5070 cannot be installed with LCIT RT5080, Vacuum Feeder LCIT RT5100 or any related options. 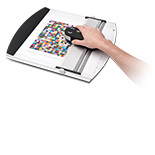 LCIT that can handle paper sizes up to 13" x 19.2" and can hold 4,400 sheets when filled with 20 lb. Bond. Maximum paper weight for tray 4 is 95 lb. Cover, for tray 5 is 110 lb. Cover and for tray 6 is 95 lb. Cover. Only 1 LCIT can be installed on the engine. 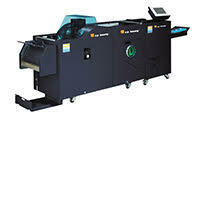 Feeds up to 550 sheets of specialty paper stocks and sizes for expanded system capacity and document output types. 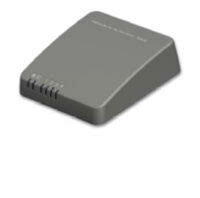 Support for stocks up to 13" x 19.2" in size and up to 300 g/m2 (110 lb. Cover) in weight. This option must be installed with LCIT RT5070, Vacuum Feeder LCIT RT5100 or LCIT RT5080. 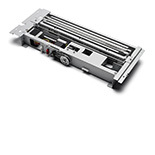 4,400-sheet Vacuum Feed LCIT that can handle paper sizes up to 13" x 19.2" and paper weights up to 130 lb. Cover (350 gsm). 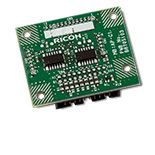 Users can configure up to 2 Vacuum Feed LCITs to the system. Note: Bridge Unit BU5010 must be added between each LCIT. When installed with the LCIT RT5080, only one of this option can be added to the system. Bridge unit used to connect two LCITs. Either two RT5100s or one RT5100 and one RT5080. 1. If two Vacuum Feed LCIT RT5100 are selected, then this option will automatically to be added. 2. 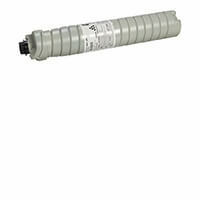 If Vacuum Feed LCIT RT5100 is configured with the LCIT RT5080, this option will be automatically added. Needed to configure the BY5010 with the RT5100 Vacuum Feed LCIT. Converts the standard paper drawer 1 from 8.5" x 11" Tandem Tray to an 11" x 17" drawer. Reduces sheet capacity by half. The 3,000-Sheet Finisher offers multi-position staple finishing of up to 100 sheets for 8.5" x 11" sized media or 50 sheets for 11" x 17" sized media. 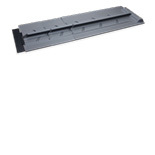 The unit also offers stacking of up to 3,000 sheets (shift tray) and 250 sheets (proof tray) with 4 staple options (top, bottom, 2 staples, top-slant) and two and three hole punch options. 1. You must select either this option, High Capacity Stacker SK5030 or Booklet Finisher SR5060 to complete your configuration. 2. 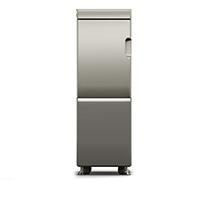 Finisher SR5050 cannot be installed with any of these options: SR5060, Trimmer Unit TR5040 or any related options. The SR5060 creates saddle-stitched booklets up to 20 sheets, equivalent to an 80-page book. It can be paired with the optional Trimmer Unit (TR5040), which automatically cuts the "creep" off of the finished product – an ideal feature for the shops that produce guides, directories, user manuals, exam books and more. The new conveyer belt pushes the finished booklets off the output tray, allowing them to drop it into a storage container for increased productivity. 1. 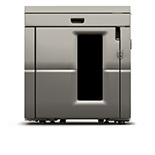 You must select either this option, High Capacity Stacker SK5030 or Finisher SR5050 to complete your configuration. 2. This option cannot be installed with any of these options: SR5050, Plockmatic PBM350, Plockmatic PBM500 or any related PBM option. Optional 2 or 3 hole punching option for either the SR5060 or SR5050 finishers. This option can only be installed on Finisher SR5050 or Booklet Finisher SR5060. Trims the "Creep" side of a saddle-stitched booklet for professional looking booklets. SR5060 must be selected to add this option. This option must be installed with TR5030 to provide three sided trimming. The trimmer does not support Off-line work. SR5050 and BK5030 must be selected to add this option. This option should be installed in customer locations that are prone to high humidity. For use on the CT5030 only. For stacking up to 5,000 sheets of paper. Up to 2 stackers can be configured per engine. Note: The configuration can end in a stacker. Only one stacker can be added to a system when configured with a Ring Binder RB5020 or Perfect Binder GB5010. 1. 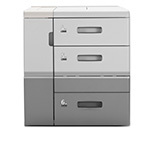 You must select either this option, Booklet Finisher SR5060 or Finisher SR5050 to complete your configuration. 2. 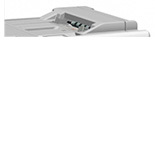 When installed with Perfect Binder GB5010 or Ring Binder RB5020, only one of this option can be installed on the system. 3. 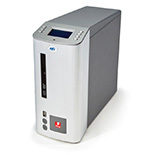 By choosing this option, Decurl Unit DU5030 will be automatically added. 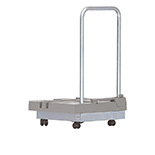 Holds up to 5,000 sheets for the SK5030 stacker, making it easy to transport output. This option can only be installed if High Capacity Stacker SK5030 is selected. The Decurl Unit is ideal for commercial printers who frequently produce jobs with high toner coverage on thin paper and paper with long grain, as it significantly reduces the natural curl that can occur, delivering sheets with optimal flatness. 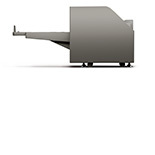 This option will be automatically selected with the High Capacity Stacker SK5030. The Cover Interposer Tray allows pre-printed covers and inserts to be easily fed into the finishing workflow from two sources for front and back covers. This option eliminates the need for time-consuming offline manual insertion and reduces the wear and tear on originals. 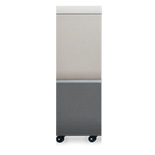 The versatile Multi-Folding Unit offers six professional folding patterns to accommodate any folding need inline. Newsletters, brochures, sales and marketing materials can be professionally finished in a variety of folding patterns including Half-fold, Letter Fold-in (Tri-fold), Letter Foldout (Tri-fold), Gate-Fold, Double Parallel (Four-Fold) and Z-Fold. 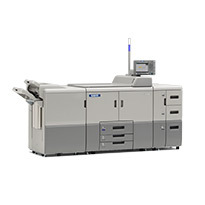 The RB5020 automates the creation of ring bind booklets, saving both time and costs. Jobs can run continually, and rings for 50 or 100 sheets are available. An added feature allows for easy sheet addition or removal if customer edits are required after the booklets are finished. 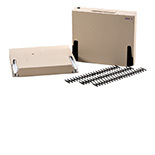 This option cannot be installed with GB5010, Transit Pass Unit for Perfect Binder Type S1, Cover Interposer Tray for Perfect Binder Type S1 or any related options. 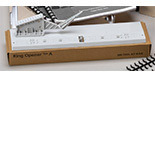 If pages need to be added or removed, use this tool to open the ring cartridge and add or remove pages as necessary. 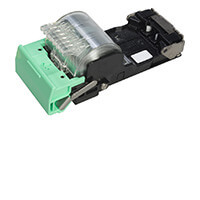 Ring binder elements are housed in replaceable cartridges and can be quickly swapped in or out. 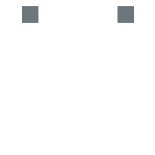 Choose from either black or white ring binder elements. Create professional quality bound books with inline punching in a variety of patterns. The GBC StreamPunch Ultra gives users the ability to choose a pattern from a wide assortment of user-friendly punch tools called die sets. 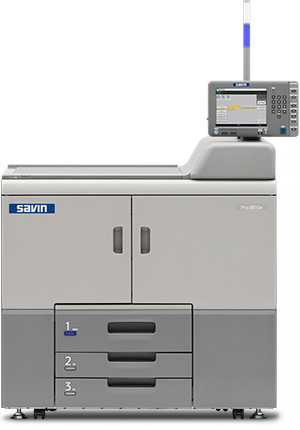 It has the capability to "Double Punch" for two-up sheet processing and support for variable sheet sizes and tab processing. 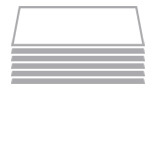 Sheets are punched on the fly with no reduction in overall productivity, and are delivered in neatly punched stacks to the system’s shift tray. 1. Requires the purchase of at least one GBC StreamPunch Ultra die set. 2. This item is only compatible with GBC StreamPunch Ultra die sets. This die set accommodates 43 Hole or 44 Hole Coil Oval Hole Bind. 1. For use in the GBC StreamPunch Ultra only. 2. Available in July 2015. This die set accommodates 32 Hole Square for Auto Wire and Pro Click Bind. This die set accommodates a 32 Hole Twin Loop Wire 3:1 Bind. For use in the GBC StreamPunch Ultra only. This die set accommodates a 21 Hole Twin Loop Wire 2:1 Bind. This die set accommodates a 19 Hole Cerlox Bind. This die set accommodates a 11 Hole Velobind Bind. This die set accommodates a 3 Hole, 5 Hole and 7 Hole Ring Bind. This die set accommodates a 3 Hole Ring Bind. This die set accommodates 43 Hole or 44 Hole Coil Bind. 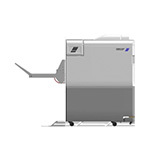 The PBM350 can staple and fold up to 35 sheets, which creates booklets of up to 140 pages. 1. This item must be configured with the Finisher SR5050. 2. This item cannot be installed with Booklet Finisher SR5060, TR5040 Trimmer or Plockmatic PBM500. 3. By choosing this option, Plockmatic Rail Unit will be added to your configuration. 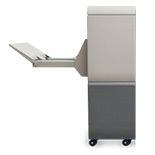 The PBM500 can staple and fold up to 50 sheets, which creates booklets of up to 200 pages. 2. 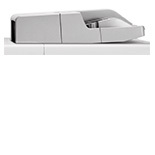 This item cannot be installed with Booklet Finisher SR5060, TR5040 Trimmer or Plockmatic PBM350. When the system is configured with the Production Bookletmaker the result is a fully integrated system that produces saddle-stitched booklets up to 30-sheets at a time, the equivalent of a 120-page book. 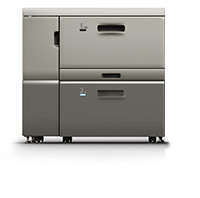 The finisher automatically adjusts for paper size and direction and offers a variety of drivers, making printing from any network seamless and easy. The BK5030 is available with the following options: TR5030 Trimmer Unit, CT5030 Crease Trimmer Unit and CF5030 Cover Feeder. Must be installed with Finisher SR5050. For a field upgrade from a PBM350 to a PBM500. This option can only be installed if Plockmatic PBM350 is selected. Makes it possible to add separately printed covers to the booklets. Option available only for Plockmatic BK5030. Must be installed with Booklet Maker BK5030. Helps dock/undock the Plockmatic PBM350 or Plockmatic PBM500 from the SR5050 Finisher. 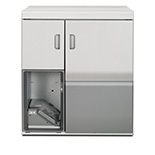 Must be included in Plockmatic PBM350 and PBM500 configurations. 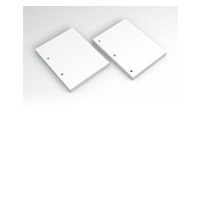 Must be installed with Plockmatic PBM350 or Plockmatic PBM500. Trims off the excess "creep" caused by folding multiple sheets, resulting in a clean flush finish. 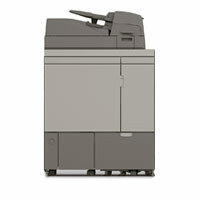 Option available only for Plockmatic BK5030 or Ricoh Crease Trimmer Type 5030. 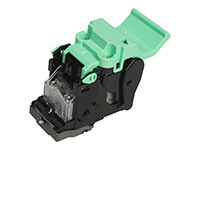 Must be installed with Booklet Maker BK5030 or Ricoh Crease Trimmer Type 5030. 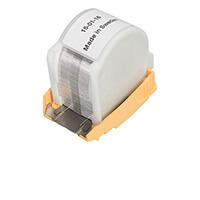 Plockmatic PBM Trim Module for face trim of booklets only. This option can only be installed if either Plockmatic PBM350 or Plockmatic PBM500 were selected. Completes the booklets giving them the same professional flat finish as perfect bound books, with a printable spine with the appearance of a magazine. The Book Fold adds the finishing touch with a square folded edge and printable spine, giving booklets the professional look of a perfect bound book. 1. This option can only be installed if either Plockmatic PBM350 or Plockmatic PBM500 were selected. 2. By choosing this option, Plockmatic PBM Trim Module will be added to your configuration. 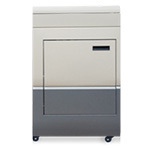 The cover feeder provides another pick point for pre-printed covers up to 300 gsm. Allows easy blending of color covers with monochrome content. The Plockmatic RCT Rotate Crease Trim unit provides professional looking, full bleed trimmed and creased booklets on the PBM350 or PBM500. 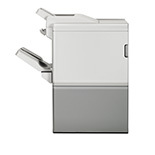 The Plockmatic PBM Rotate Crease Trim Module does not support Offline work. Note: The Plockmatic PBM Trim Module is needed to complete full bleed trim. An optional accessory to increase output capacity for uninterrupted runs - stacks up to 1,000 8.5" x 11"/A4 sized booklets of 4 pages. This fully automated perfect binding system accepts over-sized paper, allowing for the printing of standard size booklets up to 200 sheets. 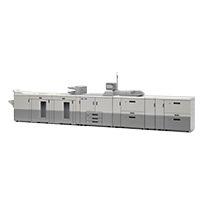 A cover inserter supports up to 300 gsm paper, and the trimming function creates 3 clean edges for the output of perfect, professional perfect bound booklets. This option cannot be installed with Ring Binder RB5020 or any related options. This option for the GB5010 should be added to mate the engine to the Perfect Binder. This option can only be installed if Perfect Binder GB5010 is selected. Option for adding covers to Perfect Bind books. Covers can be created on a different system and added to the completed book. 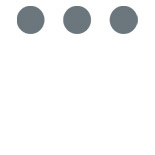 Allows for seamless inline connection of third-party finishing peripherals. This new technology allows for greater flexibility and gives the commercial print environment more options when it comes to finishing. This option can only be installed with the following finishers: CP Bourg Booklet Maker BM-e, CP Bourg Watkiss PowerSquare™ 224 or DSF-2000 Sheet Feeder and the DBM-350 Booklet Maker. High-end award winning booklet maker that utilizes the latest technology with unparalleled quality and speed to produce on-demand booklets. 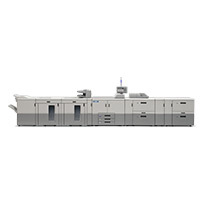 The BM-e was designed to connect directly to a wide range of production digital printing presses, along with various C.P. Bourg products. 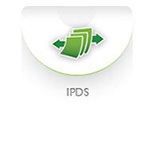 By choosing this option, RPIP Interface Box Type S3 will be automatically added to your configuration. 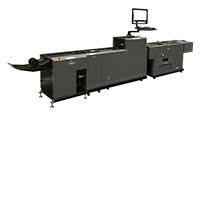 A unique and innovative complete book making system for digital and offset print applications. To suit different workflows, it is available in three configurations, online, nearline and offline. Offers a hands-free booklet-making process, eliminates touchpoints, and enables printed documents to be delivered one sheet at a time into the booklet maker without any manual intervention. 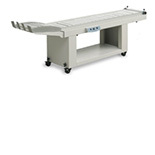 Unit includes: bridge (includes: interface & pump), touch screen PC with swing arm, booklet maker with 2 deluxe stitch heads, face trimmer, and square spine module. 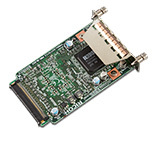 IEEE1284 Interface Board Type A cannot be installed with IEEE802.11a/b/g/n Interface Unit Type M2 or Fiery EB-32. 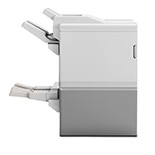 Allows users with mobile devices to print without cables. Useful for temporary sites and locations where cabling is impractical. 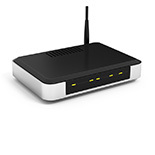 IEEE802.11a/b/g/n Interface Unit Type M2 cannot be installed with IEEE1284 Interface Board Type or Fiery EB-32. 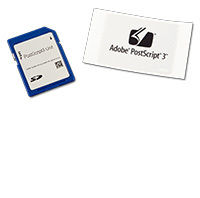 PostScript3 Unit Type S5 cannot be installed with Fiery EB-32 or any related option. Specialized page description language (PDL) developed by IBM for use with its AS/400 and InfoPrint server-based computing solutions; offers faster file processing than emulations. 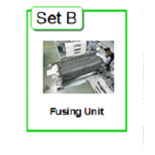 IPDS Unit Type S5 cannot be installed with Fiery EB-32 or any related option. Required to save Doc Server jobs (copy/print) to a computer. Supports NetWare printing in Novell workflows. 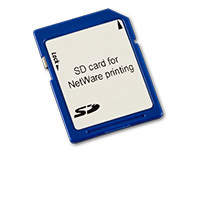 SD Card for NetWare Printing Type S5 cannot be installed with Fiery EB-32 or any related options. Offers end-to-end automated workflows for advanced print management to simplify and expedite production printing. This digital front end (DFE), based on EFI’s popular Fiery Server technology, supports a wide range of capabilities including Advanced Job Re-order, Tab Inserts and more. The controller’s Paper Catalog feature also automatically integrates with the Pro 8100e Series Paper Library function to instantly synchronize a print job’s custom paper settings. 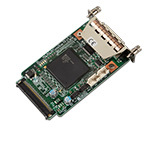 Fiery EB-32 cannot be installed with IEEE 1284 Interface Board Type A, IEEE 802.11a/g/n Interface Unit Type M2, PostScript3 Unit Type S5, IPDS Unit Type S5 or SD Card for NetWare Printing Type S5. Option for viewing print jobs before printing. Also provides controls to B/W tone curve and copy tone curves to apply to other EB-32 Fierys. This option can only be installed if Fiery EB-32 is selected. Fiery Software option to Make Ready print jobs. PDF editing, Tab Insertion, and Finishing options included. Software for imposing jobs in the Fiery Server. View thumbnail previews of the Pre-RIP job and impose and Pre-flight for error free printing. A handheld measurement device that helps you achieve predictable color every time. It provides fast and precise results that allow your customers' brands, messages and images to speak for themselves. This option is for customers who want calibration capability, only Spectrophotometer is included. This is the same option sold for use with color Fierys. 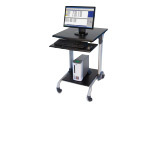 Option to enable the user to control jobs in the EB-32 by adding a monitor, keyboard and mouse with workstation furniture. 1. This option can only be installed if Fiery EB-32 is selected. 2. FACI Furniture Kit cannot be installed with FACI Enable. Optional system to enable the Hard drive of the EB-32 to be disconnected and locked in a secure location by the user. FACI Enable license key. Enable Keyboard, Mouse and Monitor to be connected to EB-32. Keyboard, Mouse and Monitor are not included. 2. FACI Enable cannot be installed with FACI Furniture Kit. Used to attach External Key Counter or Key Card Device. 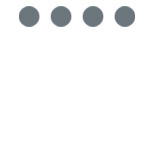 Option used to place either card reader or counter on device. TCRU allows users to take a proactive approach to routine service and enables on-site maintenance and maximum uptime. 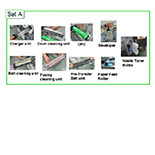 Set A includes a charger unit, drum cleaning unit, OPC, developer, belt cleaning unit, fusing cleaning unit, pre-transfer belt unit, paper feed roller and waste toner bottle. Set B includes a fusing unit. Yield (CTN): 82,000 based on 6% coverage. 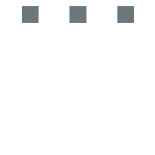 Two bottles of Toner are required at the time of installation. 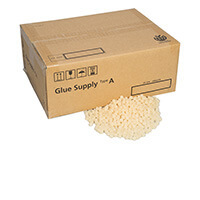 Unit Packaging: 1 - Ctg; 5,000 Staples per Cartridge. Booklet Finisher SR5060 or Finisher SR5050 must be selected to add this supply. 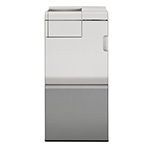 Unit Packaging: 5 - Ctgs; 5,000 Staples per Cartridge. Booklet Finisher SR5060 must be selected to add this supply. 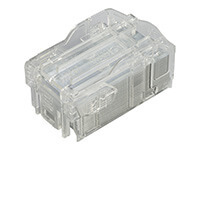 Unit Packaging: 5 - Ctgs; 2,000 Staples per Cartridge. 1. Booklet Finisher SR5060 must be selected to add this supply. 2. This item supports saddle stitch. 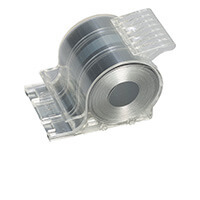 Unit Packaging: 3 - Ctgs; 5,000 Staples per Cartridge. Plockmatic PBM350 or Plockmatic PBM500 must be selected to add this supply. Glue pellets for the Perfect Binder. 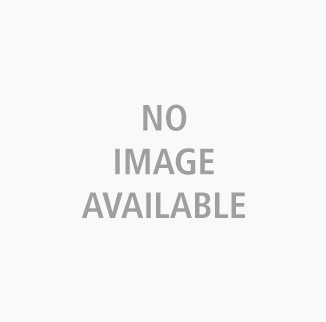 Perfect Binder GB5010 must be selected to add this supply. 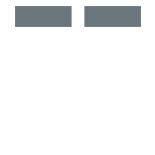 White colored ring bind element for books of 50 - 100 pages. Ring Binder RB5020 must be selected to add this supply. Black colored ring bind element for books of 50 - 100 pages. 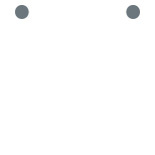 White colored ring bind element for books of up to 50 pages. Black colored ring bind element for books of up to 50 pages. Paper Sizes: Up to 13" x 19.2"